(Cherry Hill, N.J.) — Cherry Hill Police Chief Bud Monaghan is pleased to announce that the Cherry Hill Police Department has established a series of designated safe zones where residents can complete sales and purchases through Craiglist and similar bartering/swapping websites. These safe zones are designed to increase the safety of online purchases by giving members of the public a highly visible location in which to complete the transactions, 24 hours a day, 7 days a week. Two locations have been established, which are clearly marked with bright yellow “Safe Transaction Signs” that make them easily identifiable. 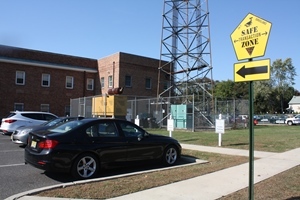 Both sites are located in and around the Township Municipal Building at 820 Mercer St. One safe zone is located in the Police Headquarters lobby, which is accessible 24/7 from the front entrance on Mercer Street. The second safe zone is located in the “horseshoe” of parking spots in the back lot at Town Hall. Both sites are continuously monitored by surveillance cameras. While these sites are accessible 24/7, Police Officers will not participate in or witness transactions nor will they guarantee the quality or authenticity of items purchased. Transactions involving weapons, drugs, drug paraphernalia, or any other illegal activity are not permitted in these zones. Residents with questions or concerns can contact CRO Houlihan at (856) 488-7813 or via e-mail at rhoulihan@cherryhillpolice.com.